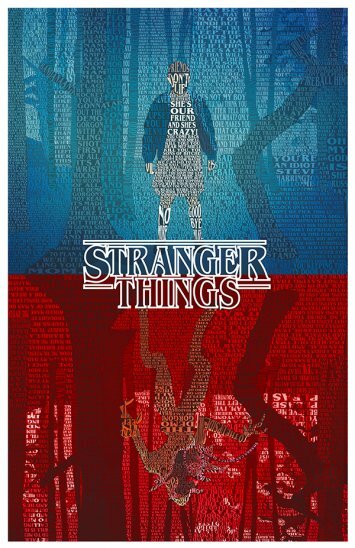 Home :: Limited Edition Items :: Stranger Things 20x30"
This print is made entirely out of words! 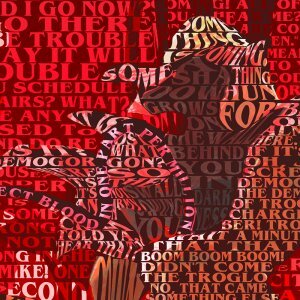 The image shows Eleven and the Demogorgon formed with quotes from season one of Netflix's Stranger Things. 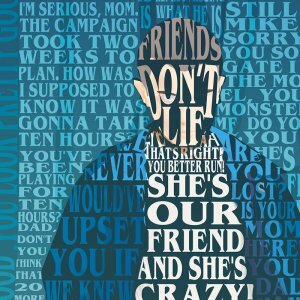 The Limited Edition 20x30 Print: This is a limited item, only five prints were made in this first printing. 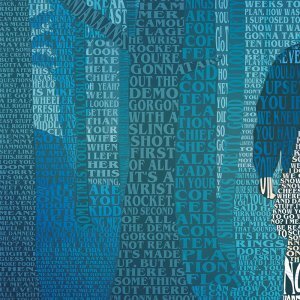 This is an 20x30 inch giclee fine art print. The inks and paper used are archival quality to ensure a lifetime of display without fading. The print will be rolled,and delivered to you inside a sturdy cardboard tube. Shipping: All orders placed before 5pm central time will go out the next business day (Monday-Froday, excluding holidays). International shoppers, please note your local government may impose a duty or tax on imported goods. This fee, if any, will be your responsibility at the time your package arrives.